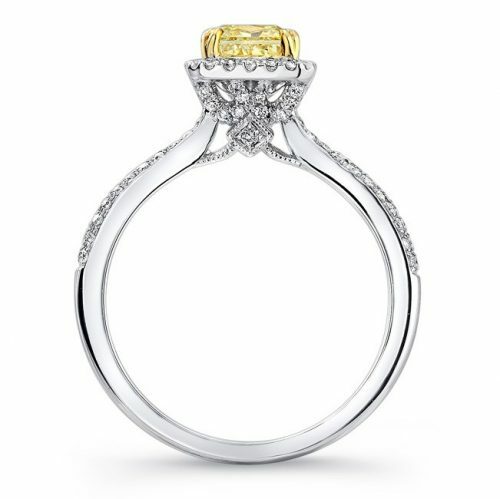 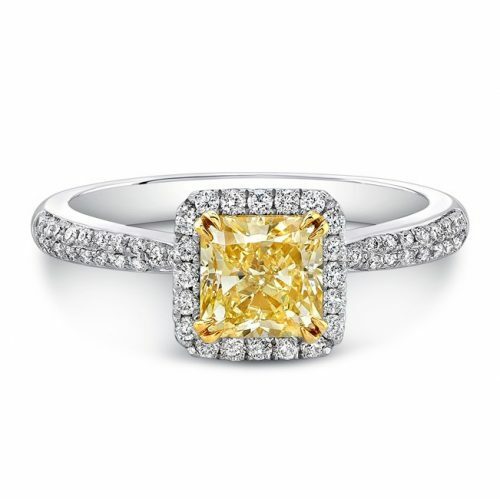 Complementary 18K yellow gold prongs enhance this glowing yellow diamond engagement ring’s center. 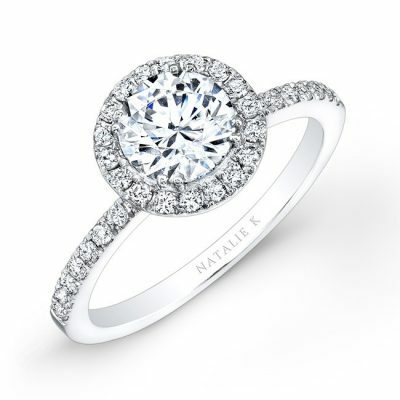 A bright white diamond halo frames the center perfectly and matches the white diamonds that run down the tapered 18k white gold shank. 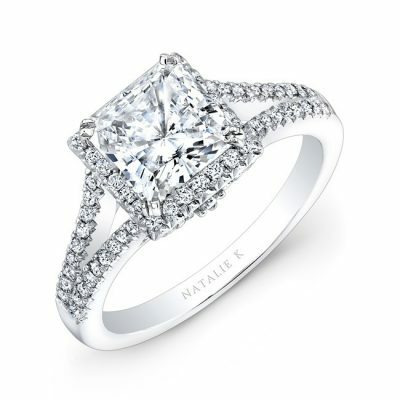 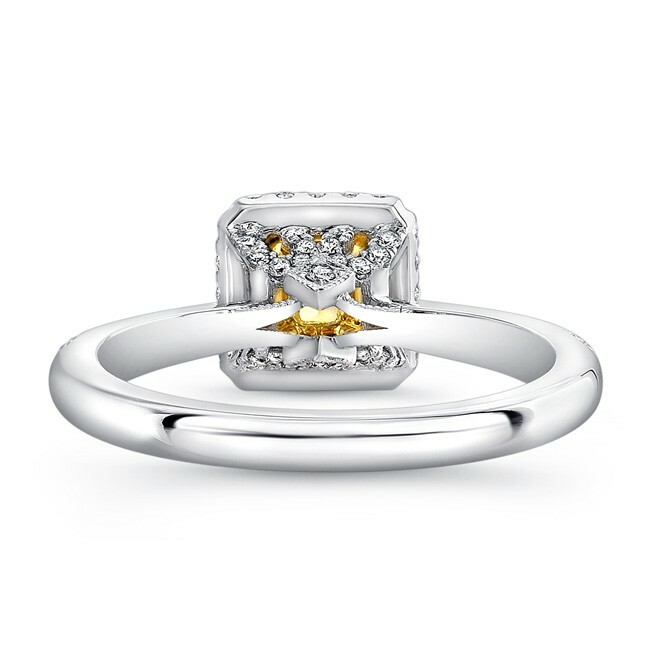 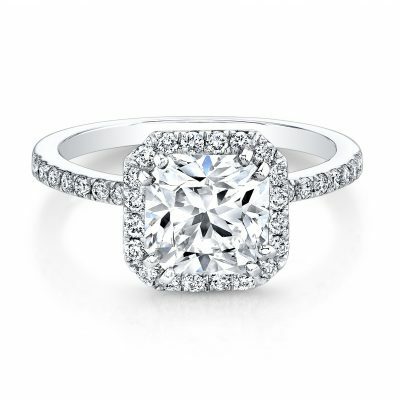 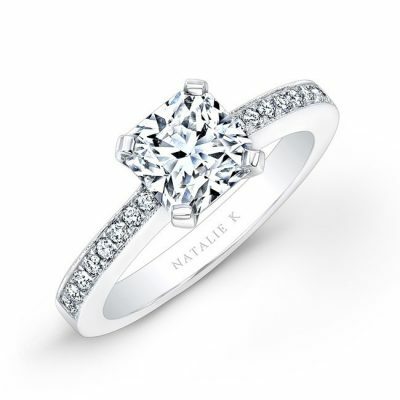 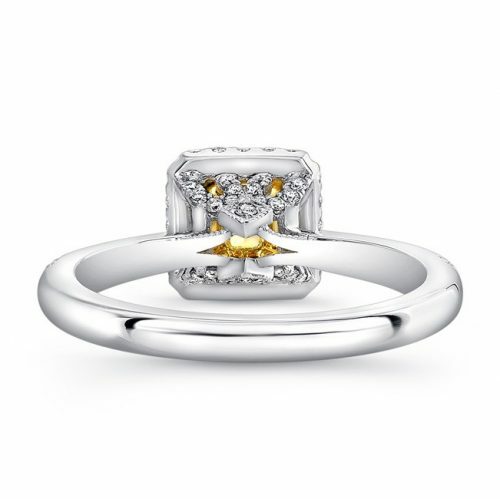 A truly unique Natalie K for Forevermark™ engagement ring.